New Radion ZR Team frame in small (16″ c to t with a 22″ top tube) with new headset. Used but good condition Rock Shox XC30. 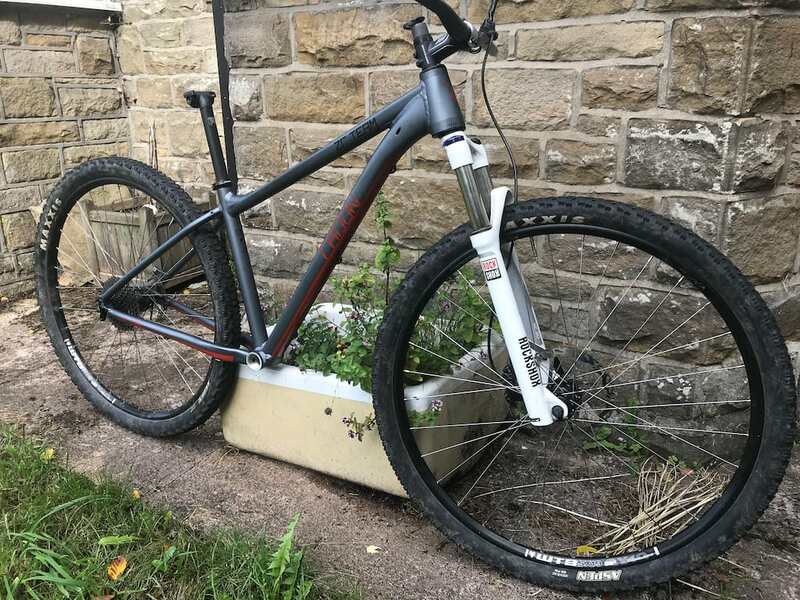 Used but good condition Charge Bikes /WTB SX19 wheels with Maxxis Aspen tyres. Stem, bars and seatpost – used but again good condition. Last edited by Dave_H on Thu Sep 13, 2018 7:15 pm, edited 1 time in total. Happy to split. £50 each plus post. Will include bars, stem and seatpost if you buy the frame plus something. Brakes are only if you buy all three! Have you still got the wheels?